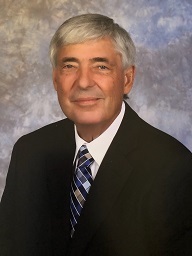 Glen Davis, 72, of Newbern, Tennessee died on Wednesday, March 27, 2019, at Trinity Hospice House in Collierville, Tennessee after a year long battle with cancer. Born Thursday, November 14, 1946 in RoEllen, Tennessee, he was the son of the late Carl Davis and the late Mai Ellen Adkins Davis. He was a life-long farmer and owner/operator of Davis Trackhoe. Mr. Davis was a member of Newbern First Baptist Church and proudly served his country in the Tennessee National Guard for six years. Funeral services for Mr. Davis will be held at 2:00 PM on Sunday, March 31, 2019 in the Chapel of Johnson-Williams Funeral Home. Officiating this service will be Rev. Danny Klutts. Interment will follow in McCorkle Cemetery. Visitation will be Saturday from 4:00 PM until 7:00 PM and on Sunday from 12:00 PM until 2:00 PM at Johnson-Williams Funeral Home. He is survived by his wife of forty-six years, Janice Maupin Davis of Newbern, Tennessee; one son, Scott Davis (Lisa) of Newbern, Tennessee; one daughter, Karen Davis Jones (Jim) of Newbern, one brother, Tom Davis (Libby) of Newbern, Tennessee and five grandchildren, Cooper and Katie Caldwell, Morgan McDaniel and Rayce and Rylee Davis. In addition to his parents he was preceded in death by one infant sister, Linda Faye Davis. Pallbearers will be Terry Johnson, Rodney Travis, Van Higdon, Tim Ladd, Bryan McBride and Chuck Morgan. Honorary pallbearers will be Howard McBride and Crannie Webb. Online condolences may be made to the family at johnsonwilliamsfuneralhome.com. Johnson-Williams Funeral Home is honored to serve the family of Glen Davis.